-Tempo doesn't have the best control of his magic just yet. For example, yes, it can make him extremely fast--however, if somewone were to somehow trip him up, he'd pretty much fall on his face and skid across the ground--not a fun venture. Until he gets better at controlling his magic powers, he'll still be pretty sloppy with them. -Tempo isn't aware of many things that seem like they should be common knowledge, simply because he comes from the past--he's unaware of a lot of things going on with the present, and due to this, he's actually a little bit gullible in that respect, as well--people could tell him just about anything about the present time, true or not, and he still wouldn't know whether it was true or not. Being half human, half elf, Tempo inherited parts from both his mother and father--while his mother, who was human, passed down to him much of his combat experience and the fiery will of determination that humans tend to hold, his father, who was an elf, passed down to him some subtle bloodline abilities. For example, Tempo ages physically much slower than normal humans would--he aged normally like a human up until about the moment that he's at now--he won't age physically from here for quite a while. His elven blood also gave him a strong affinity for magic and magic potential--his skills with magic will only grow from here, with practice. Additionally, Tempo has practiced for quite some time with swordsmanship. 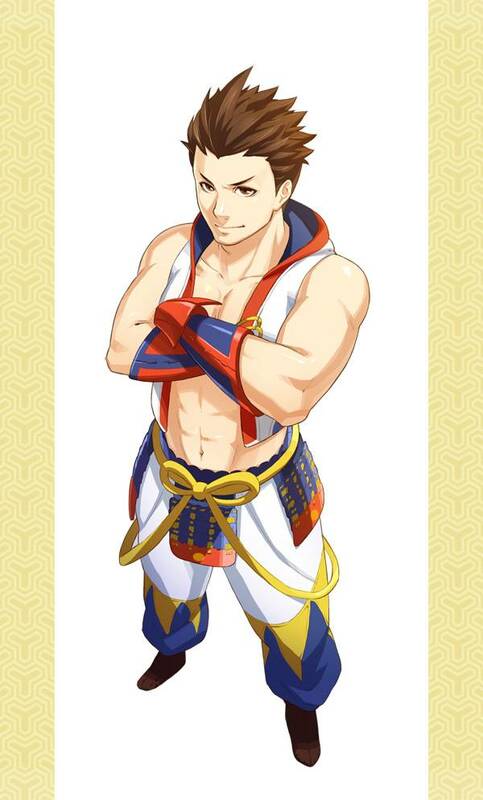 He specializes in using a shortsword, and seems to be able to focus well on delivering fast, accurate blows in exchange for the fact that he's not exactly the most physically strong guy around. Tempo's blade is made of iron--specifically for the purpose of avoiding being messed with by fae in the area he used to live in. Tempo's greatest power is in his slowly growing magical ability. Due to him being half elf, he has great potential with magic, and the more he practices with these powers, they stronger they grow. The type of magic that Tempo specializes in is that of speed and acceleration. This magic allows Tempo to move at incredible speeds, and also heightens his reflexes. There are several potential uses for this magic aside from simply running--such as enhanced flurries of kicks, or even making use of mass amounts of friction from running in place--Tempo's magical potential means that he's got several opportunities to use his magic in unsual, creative ways to his advantage--he simply needs to figure these things out first. Tempo's sword skills, he learned from his mother. She taught him swordsmanship for several years, during the time when his father was teaching him the ways of the forest and the world around him. Once the time came to pass that the Caelestis Kings arose and taught the people of the world magic, Tempo learned from their teachings, combining the elements of wind and energy mostly by accident, unlocking his powers over speed and acceleration. He's practiced his magic mostly on his own, so he's not extremely good with it--but he plans to continuing practicing all of his skills and continue to improve. Tempo, in general, is a fairly upbeat guy. He's amiable and generally easy to get along with, although he does get frustrated a little bit easily when he can't figure out or do something. He's good natured and will help out people he sees that are in need of it. He enjoys making friends and respects people that respect him back in turn. When he sets his mind on something, he'll get pretty into it, and doesn't like leaving jobs halfway done. His mood tends to fluctuate with his diet, and the more sugar he's eaten recently, the better of a mood he'll be in. He's usually an optimistic person, and is willing to take on challenges--he really likes overcoming the odds. He's all about teamwork as far as working with friends goes, and won't leave anyone behind, on the battlefield or off. He holds genuine concern for people who are hurt near him, and won't hesitate to help if someone is suffering. Generally, he does what he can to judge situations morally, and tries not to let his personal emotions influence his actions too much--but they always do. He tends to listen to his heart over his head, and gets frustrated when groups of people at a time disagree with him. He's defensive of his past, and isn't really keen on telling people where he came from--he more than anything wants to hide his anxieties, but doesn't try to hold them in when they actually arise--he figures that letting it out is far better than holding it in. Tempo, in fact, is actually not originally from the current era of time that Sol finds itself in now. Tempo's story begins long ago, back in the Caelestis Era. Tempo was born to an elven father and a human mother, in the area that would later become known as the Forbidden Land of Touhou. He lived in a small village within that area, living out a fairly normal life with his parents. As he reached his teen years, though, it came to pass that a number of men were traveling around the country, teaching magic to the people. These men were the ones who would later become the Immortal Kings. Two of these men happened to travel through the area that would later become Touhou. They visited Tempo's village often, teaching magic to the villagers. Tempo, curious about magic and how it worked, often came to the lessons that the men taught, and studied hard the magic that they taught. Eventually, he managed to get a fairly good grasp on it--he wasn't the best, but he practiced each and every day to get better, working at it for years. 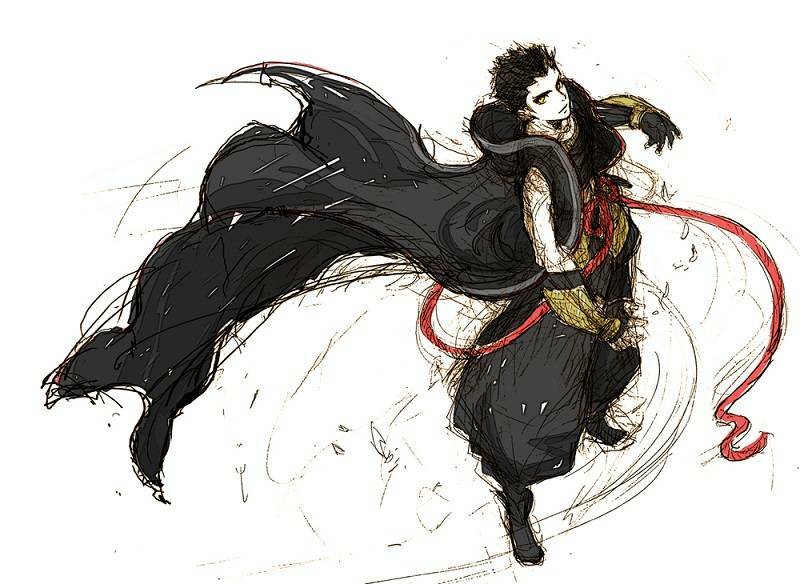 Along with studying magic, he also practiced swordsmanship with his mother, and built up his physical strength by helping out his father with chores and just doing exercises with him, most notably running. He seemed to have a natural talent for dedication, and slowly but surely got better at everything he practiced. After all of this, Tempo felt that he'd trained enough with magic to try to experiment with new things--and decided to try something different. Through an almost accidental incident, Tempo one day ended up combining his magical abilities he had learned with his running--and ended up unlocking a unique type of speed magic. Very enthusiastic about this, Tempo began using the magic right away--without questioning his teachers about it first. Now this--was a bad idea. He positioned himself at the top of a hill, and decided to use his magic to see just how fast he could really go--and he definitely went fast. A bit too fast. He took off down the hill using his magic--and the next thing he knew, he had done...something. His magic had triggered something--launching Tempo off into a hyper-speed trip through time itself. His arrival into present time is where we catch up to Tempo now--in a new era in which he's stuck for the foreseeable future. 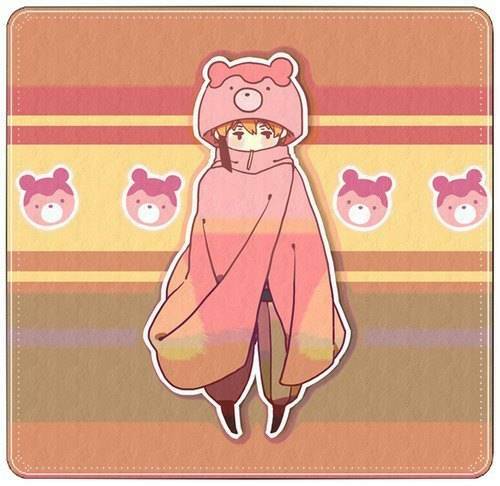 -Tempo generally always carries sweets around with him inside his cloak--he's always carrying so-called "emergency snacks" with him, and usually has several different varieties with him. If he hasn't eaten any sweets in a while, he generally becomes sluggish and somewhat melancholy--but eatoing a few candies can fix that right up in time. -He generally gets restless easily. He's usually most comfortable when he's in motion, even if it's just pacing around. Appears around 19 or 20, is actually a few hundred years old. Lonan, being a vampire, hosts a variety of abilities that come with that--he's got enhanced speed, durability, and strength, as well as enhanced vision, smell, hearing, and other senses. He's got the host of strengths that vampires generally have, but also the host of weaknesses, such as he holy symbols and sunlight that harm them, or the fact that they can't enter other people's homes uninvited, etc. He needs blood to live, but tends to try to only take from people who are willing. He's not very candid about his identity as a vampire these days--he doesn't tend to bring it up. Lonan's main power abiliies lie in magic--he's trained in several different elements of magic, but was never actually proficient in any but for dark magic. 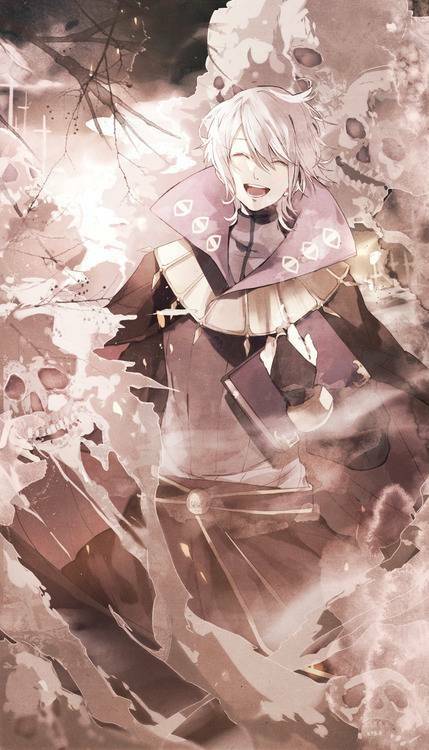 His abilities as of present allow him to drain enemies of their energy, attack ith curses and other similarly harmful spells (either causing damage or status effect-like results), raising spirits of the dead or even the bodies of the dead--all sorts of dark powers like that. His magical abilities seem to be extremely powerful--and he seems to have quite a few spellbooks that contain spells that most would consider forbidden. One can tell just by the aura about Lonan in battle--he's not one easily trifled with, magic-wise. Aside from his offensive magical powers, he's also apparently developed the ability to understand the animals that he connects with. Nobody's really sure how this happened--but he can apparently hold up whole conversations with them. Lonan's magic training came from his time staying and learning with another mage, named Luce. He learned most of his skills there, and the rest was self-taught during his travels. His connection with animals was learned during hs time livin in the forest--and now he practically understands them as if he was able to talk to them. Most of his skills came through time and effort of him travelling for decades--and it was effort well spent, for he's quite well-practiced now. -He is certain that AB type blood is probably the most disgusting thing he's ever tasted. -Sunlight--it kind of makes his skin burn. Very badly. Instantly upon contact. Other manner of anti-vampire materials are bad in his book, too. 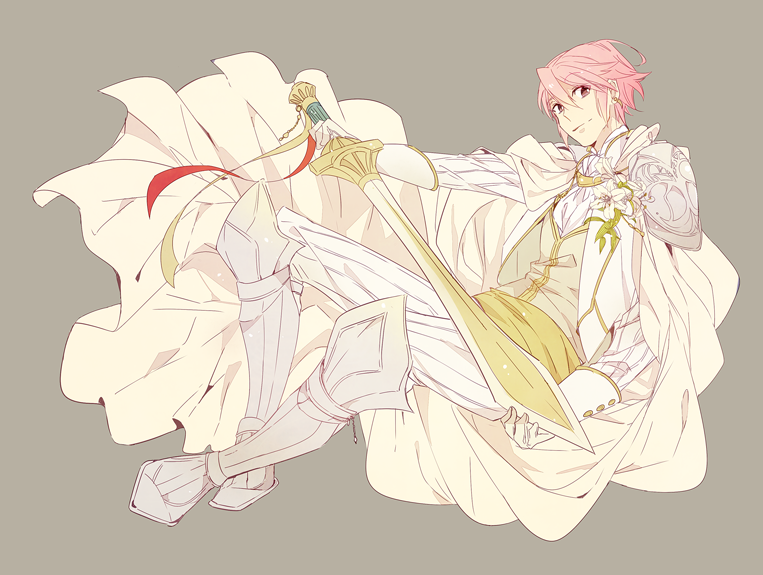 Lonan, in most cases, comes off as a very cheerful and carefree, if not a bit eccentric, young man. He's almost always smiling--only when he is extremely disturbed does Lonan let his demeanor tremble. In general, he uses his happiness to try to push back latent sadness that he holds deep in his heart--he's definitely depressed, but he's trying to fight it with a constant smile. He feels that if he's always trying to be happy, he might eventually genuinely feel happy. He's an animal lover, and seems to hold more regard for the safety of his animal friends (and Eliyah--he's a bird too pretty much-- //shot) more than he does for his own safety and the safety of other people. Lonan holds a lot of respect for animals and wildlife, having lived in the forest for quite some time by himself. He's very proficient with magic, but downright refuses to teach anyone or answer anyone that asks about his own learning process. Generally, he enjoys blood and gore a bit too much--he finds it entertaining for some reason or other. He has a lot of fun in battle, and tends to go a little overboard with his attacks because of his enthusiasm. He's always doing what he can to keep the people around him in a good mood, and loves cracking bad jokes a lot. His seeming stasis of emotion ends up making him come off as a bit creepy or even fake as people who don't know him well, but those who are close to him seem to have gotten used to it. He's got a good head on his shoulders, and generally is pretty smart with problems that face him--especially ones that have to do with him being a vampire. He holds back his negative emotions so that they won't interfere with his mind or the people around him, but because of this, they tend to build up quite a lot--to dizzying levels--so much so that when Lonan does crack apart emotionally--it's bad. Very bad. Lonan was born into a happy family, who lived at the border of Aurum in a small town. The town was a very closely knit community--everyone knew each other, everyone went to church together--it was like the entire town was one big family. Lonan felt like he could share anything with the other townspeople--but there was one thing that his parents told him he could never reveal--and that was that all three of them--Lonan, his mother, and his father--were all vampires. Lonan was very confused as to why that was...at the time he didn't realize, but the town itself was strictly against non-humans. While the family could have just left, Lonan's parents didn't want to uproot him and force him to move so early on in his life. All went well--Lonan's family masquerading as humans--all up until one day, while in church, Lonan had a slip of the tongue--he said something that incriminated him as being a vampire--and when the priest almost violently so questioned him about the veracity of that claim--the flustered and frightened young Lonan verified it as being true--that he was indeed a vampire. This resulted in the priest literally raising a riot against him--because the people of the town were harshly against those not of their kind. Lonan's parents, who were present as well, because everyone went to church at once, gathered up their son and swept him away towards the woods at the edge of town, urging him to run and hide among the trees. Lonan did as they asked--only to see his parents assaulted by the very neighbors that they had considered best friends. Both of Lonan's parents were firmly killed--both by stakes to the heart and then burning after having been subdued as they tried to plead their son's innocence. Lonan, shocked and terrified by the display, fled into the forest. During his stay in the forest, Lonan had to learn to fend for himself--along the way, he become close friends with the animals of the woods--namely, crows. The birds seemed really quite comfortable around him--and just having company really did comfort Lonan, honestly. At least the animals wouldn't try to kill him for who he was. He managed to learn to fend for himself. He still felt great sorrow over his parents' deaths for quite a while--and almost didn't want to leave the forest for his entire life. During his time in the woods, he even went so far as to forsake his religious faith. He thought that he might simply stay in the forest, and never have to deal with people again...However...he figured that if he didn't move on, he would simply sit and rot there in those woods....and he didn't want that. So, he ventured out of the forest. He traveled around for a short while, not entirely realizing that he'd crossed back into Aurum, although his travels stayed near the edge of the country, until one day, he fell ill--and collapsed along the road. When he awoke, he found himself under the care of a young man--a mage, going by the name of Luce. Luce nursed Lonan back to health, and after hearing his story (minus the part about being a vampire--Lonan purposefully left that out), Luce decided that he would take Lonan in as an apprentice, taking care of him and teaching him magi. Lonan worked with Luce for a long time, learning much about magi--but eventually, he became curious. He became curious about the darker practices of magi--Luce had tomes that contained spells of this variety, apparently--but he refused to share them with Lonan, for he feared that the magi would corrupt him with darkness. Lonan wasn't having any of that, though--and one day, while Luce was out, Lonan snuck into the man's private study, taking a few of the dark tomes--and hiding them away within his satchel. He began studying them in secret, without Luce knowing. Lonan figured that it coudln't do any harm. But Lonan was consumed with grief. Over both his parents and Luce, he felt that wherever he went, he only brought death and despair. He felt absolutely despondent, to the point where he began considering suicide. So--he forced himself to be happy. He figured that maybe, if he was always smiling, always happy--then maybe he wouldn't need to worry about all of that grief. He forced and bent himself into his current cheerful, constantly smiling persona to both mask and shove back his past despair--both trying to escape it and to recover from it. Today, he's still just forcing the sadness back...but he feels that using the same tactic might work. Eventually. It was around this time that Lonan ran into Eliyah Blackthorn--Lonan had become stuck inside a cave on a sunny day with no cloak--and no way of leaving, thanks to the sunlight. Luckily, Eliyah happened to come by, deciding to give Lonan some shade with his wing so that he could actually leave the cave--and the two of them became fast friends after that. After travelling with Eliyah for a while, Lonan began to feel a little bit better--although he was wary about bringing his new companion misfortune, he also liked the feeling of having allies. It was this that motivatd him to create Lux Obscura--his guild. Guilds had started springing up all over the place, and he figured that making a guild was the perfect way to gather together a lot of people that could be friends and allies. The guild, once created, began quickly gaining popularity due to its leniency with rules. Lonan felt quite happy, especially due to the fact that Eliyah had joined, as well. He still had a lot of deep-rooted sadness deep in his heart--but he felt like this could be an opportunity to slowly get rid of that sadness, bit by bit. It would take time, yes...but it was worth a shot. -Lonan generally has at least 20 or more crows with him at all times. He's named all of his crow friends, and is able to differentiate and recognize them easily. He's very protective of the crows just as the crows are very protective of him. -His taste in music is remarkably calm when compared to his personality, and he seems to greatly enjoy waltzes in particular. Appears 20, actually has the mentality of a child around 12 years old. Doesn't physically age. +Free is definitely able to pack a punch behind his blows--he's got a good amount of physical strength, and is able to stand up to great amounts of force relatively easily, mostly due to his stone body. 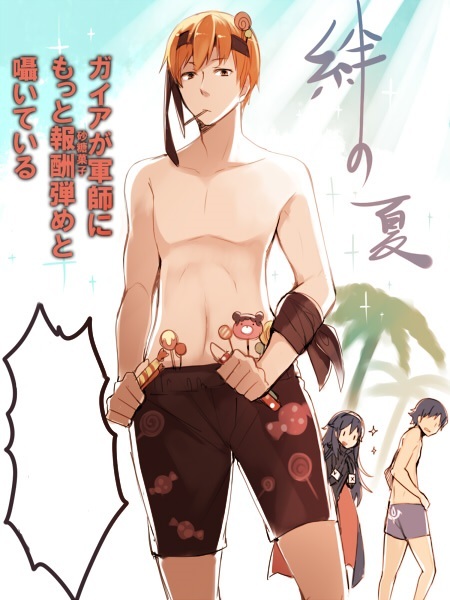 +Because he doesn't have a normal body, Free doesn't actually feel pain--so he can't be hindered by it during battle. +Despite being bad with strategy, Free is actually pretty good at observing his opponents--and will rather quickly pick up patterns. It's the doing something about those patterns or figuring out how to exploit them that's difficult for him. -While Free is definitely pretty physically strong, he isn't very fast at all. -Even if he can't feel pain, this sometimes works against him--he sometimes won't notice even if his body has taken damage that could be potentially hazardous to him. -Generally, Free doesn't exactly have a really strategic mind--he's not so great at creating or understanding complex strategies, and often runs headlong into battle. Being a golem, Free has very different biology than that of a human. He has no internal organs, and no bodily fluids. In fact, his insides aren't even hollow--they're solid rock and clay. The back of his mouth is closed, and he has no throat--his voice is magically generated by the mana within him, and it projects from the back of his mouth. In general, he has a lot of mana within his body, and it's what keeps him running. He has a flame in the center of his body that can't be put out by normal means--and it represents his life force. He cannot live without mana flowing through him, and if he tries to channel any of that mana out by himself without any help, it gets sucked right back into his body. His gauntlets are what let him channel mana without needing to worry about it going back. He has a massive amount of mana within his body, and if he was drained of it completely, he would "die", at which point the flame at his core would go out--however, he could be "recharged" by a large source of mana being poured into his body. His mana encompasses his soul, and if the mana was replaced, he would be fine--however, if it took too long before he was revived, he might risk some memory loss. His mana can be transferred to other mana artifacts if his consciousness needed to be transferred to a new body. Being as it is that he has no organs, he has no need of food or sleep--and he wouldn't be able to eat or sleep even if he tried. Free's main weapon of choice is his gauntlets, which were crafted for him by the same man who created him. The gauntlets allow Free to channel mana through his hands for devastating attacks. 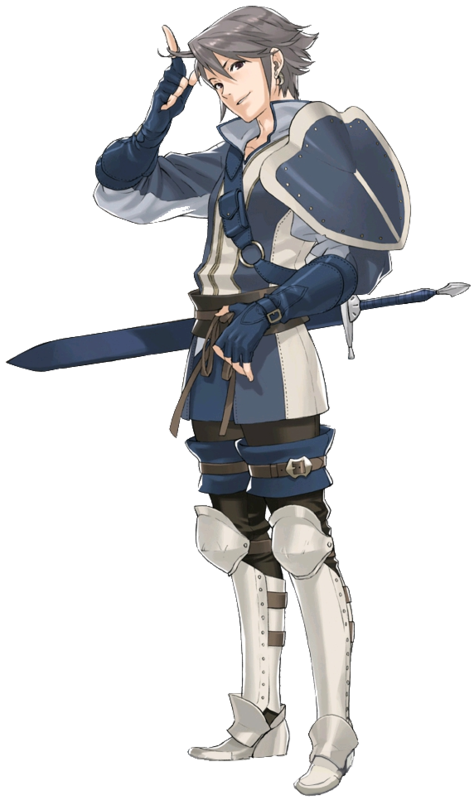 Generally, the gauntlets were clearly designed for hand-to-hand combat, and they can be used for normal blows, as well as blows charged with mana. He wasn't very good with them at first, but he's recently been training with Isadora Leofsteel in order to sharpen his battle skills. The gauntlets, as well as acting as a weapon, also act as a source of mana. They generate mana to add to his total, as well as letting him channel it outwards for attacks. Free's form of magic that uses the most is known as "Impact Magi." This type of magic is simple in the way that it simply increases the strength behind the blows that Free delivers with his gauntlets--really making the difference between whether something is a punch, or a crater-making blast. The magic can be amped up by channeling more mana into it, going up from Arc One through Arc Five respectively, as the power levels are called. The higher the level, the greater the power in the blows, but also the more mana used and the slower Free gets. Free hadn't gotten any formal training at first, and had been very sloppy with how he'd fought--at this point, he's still a bit amateurish, but he's actually receiving training from Isadora Leofsteel, an Ace of the guild that he's joined. The two of them use similar weapons, and it was noticing this that led to her training him. He's slowly getting better bit by bit, and hopes to continue to improve. Free has a very bright and cheery disposition, and it's very difficult to find him in a bad mood. He loves meeting new people, and loves making friends with them--he loves interaction in general. He's still very naive in that he doesn't know much about the world, and he wants to learn as much as he can. He's got nearly endless enthusiasm when it comes to pretty much anything, and once he sets his mind on something, it's pretty difficult to get him to change it. He's eager to make others happy and because of this, sometimes comes off as a bit of a people-pleaser. He tries his hardest for his friends, and would protect them with his life if necessary. He can come off as a bit immature sometimes, but if he seems to be upsetting someone, he'll do what he can to correct himself. He's a bit oblivious as far as societal standards go, and tends to stick out like a sore thumb in public simply because of his boisterous personality. He's definitely a dreamer, and someday wants to see a world free of pain--and he wants to be a part of that change however he can. He hasn't fully realized the complexity of society or the world itself yet, and tends to see things in pretty black-and-white terms. He hasn't even fully realized yet the scale of the difference between himself and normal humans--he still considers himself to be pretty human, despite how other people would say otherwise. When he becomes confused about something, he ends up pondering over it for quite a while--considering how young he is, he hasn't dealt much with serious negative emotions yet. When faced with harsh emotional problems, he doesn't really understand how to deal with them--and without even the ability to cry, often becomes quite befuddled by how he should be reacting. It unsettles him--and he might end up making abrupt decisions that he'll regret later. Once, deep in the forests of Touhou, there was a craftsman. This craftsman was an old man very adept in the ways of magic. However, he lived all alone in a secluded part of the forest, and found himself to be quite lonely. Because of this, he decided that he wanted a son--and seeing as how he couldn't have children of his own, decided to craft one. The old man began collecting the materials that he would need to craft a golem--a living being created of materials from the earth charged with mana. The old man toiled day and night on his creation, until at last, through his own adept skills, had created a golem that exactly resembled a normal person. He charged the golem with a massive amount of mana in order to bring him to life--and thus, Free was born. He didn't have a name at the time--and following Free's birth, the old man had become quite frail and sickly due to all of the energy he had exerted. The golem didn't understand much of anything at the time, but saw the old man as a fatherly figure, and the old man in turn taught him how to speak and how to do daily tasks, along with knowledge about the forest and its spirits, and magic, too, although the golem couldn't conjure magical energy himself. For about the next few years, the golem lived with the old man, learning the things he would need in life and simultaneously providing the old man with the family that he had desperately desired. On the fourth year, the old man's life came to an end, and he died with a content smile on his face, knowing that he had lived a full life, and had died in the presence of family. His final words to the golem were, "You are free now." Because of this, the golem decided to begin calling himself by the name "Free." At this point, Free set out into the world on his own, leaving the house where he had spent the first four years of his young life. He was lucky that the old man had taught him so well--otherwise, he wouldn't nearly have gotten so far. He travelled around Touhou for a while, moving in and out of small communities, never staying anywhere quite long. He saw both good things and bad things while he traveled, and came to the conclusion that one of the only ways to really protect people was being able to fight. He did have gauntlets on his arms--similarly crafted by the old man who had crafted him--but he really didn't know how to use them. Still, he figured he should try, so he began training by himself--eventually realizing that his gauntlets actually let him channel mana--he couldn't channel any sort of magical power without the gauntlets, though. He ended up purely by accident developing his own distinct mana known later as 'impact energy.' However, his style of training was still quite sloppy, he'd never actually fought anyone, and he wasn't really finding many opportunities to help people like he wanted. It was at that time that he realized he couldn't stay within Touhou his entire life--and left the heavily-forested lands of Touhou in exchange for newer horizons. Eventually, he heard about Optimus, and figured that it would be a good way to actually try to get stronger and help others. He was pretty much as big of a newbie as you can get when he first joined, but after training with the aces for a while, he ended up becoming better, bit by bit. Now, he's happily working alongside the others at Optimus after having been there for a few months. WoD golems, gay space rocks, punches???? -He has a pet lizard that he takes very good care of named Lizard. Isadora suggested the name. -Free has a very bad sense of direction. He gets lost a lot unless someone is there with him to show him where to go. -Despite the fact that Free cannot partake in many normal human activities, he has a fascination with them--and seems very fixated on trying to see what they're like. He might, for example, ask someone to describe how a meal tastes--namely because he can't eat or taste it himself. +Ivan is a fast learner--he picks up new skills quickly when they're being taught to him, and he generally gets good with new weapons fairly quickly after beginning training with them. +Once he's actually invested in something, Ivan is pretty good at focusing. Especially when it comes to protecting the people that are important to him, he'll become extremely single-minded with whatever task is at hand. +Ivan is surprisingly quite good with stealth. He learned a bit of this from his father, and the rest of it honestly comes from his social anxieties. He's good at sneaking around and avoiding people if he needs to--and this tends to come in handle in battle as well. -Ivan has downright terrible luck. In battle or out, he always seems to get the short end of the stick for some reason or other. He works hard to overcome this, but it's still something he struggles with. -He still needs a lot more training. 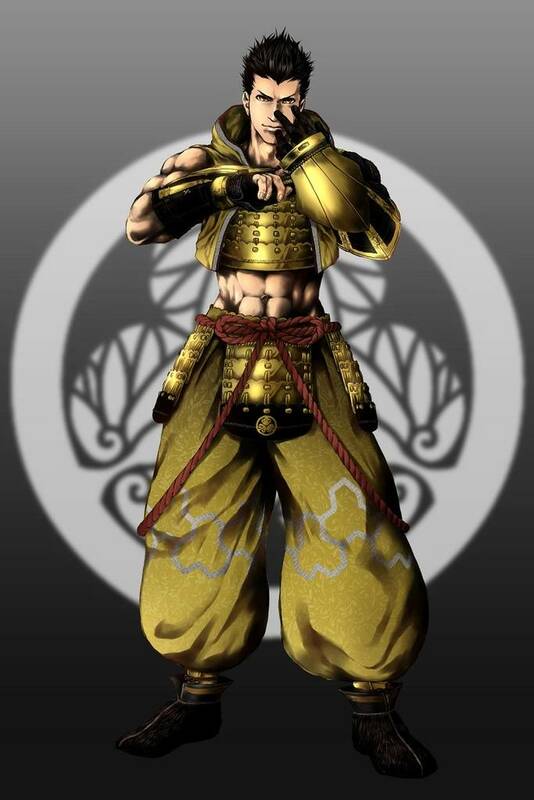 He tends to skip out on training in exchange for more social activities, and because of this is often a bit behind his peers when it comes o might in battle. -He's not exactly the most physically strong guy around--he's moreso pretty average. He doesn't want to get visibly muscley because he feels like being bulky is a bit tacky. Ivan's main abilitie focus around his two weapons--a sword and a spear. He learned how to use blades from his father, and how to use spears from his mother. The sword is solely a close-range weapon, but the spear can be used at short range or thrown. In general, Ivan will either use one or the other during battle--never both at once. He's generally fairly adept with each of his weapons, although he could definitely still use some training. Something that Ivan's got going for him is that he picks up new weapons fairly quickly when he's being taught how to use them. Although he doesn't seem so keen on the training itself, he does know that he's got no choice but to get stronger--and his fast learning aids in that. Ivan doesn't have any supernatural powers to speak of--he's a regular human, through and through. Ivan's training comes in equal parts from his father and his mother. Both of his parents were soldiers on the local guard of where they lived, and his father used blades, while his mother used spears. Although it was clear as a child that Ivan didn't want much to do with combat out of fear, he was convinced with the idea that he needed to know how to fight so he could protect the people close to him. He trained for years under his parents until the day he was ready to set out on his own. He does mercenary jobs quite often, and counts those as valuable fighting experience. Outside of jobs, he only trains when people nag him to do so--he spends most of his time outside battle doing what he can to be a social butterfly. 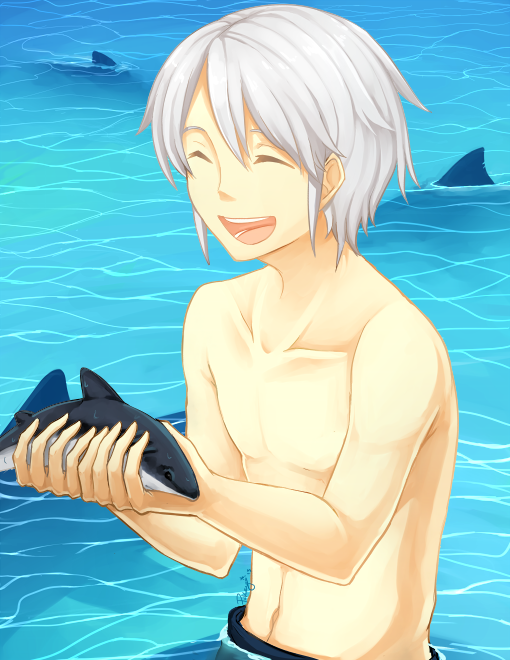 Ivan, in general, on the surface, seems to be quite the upbeat and carefree person. He's very flirtatious, and won't hesitate to flirt with pretty much every girl he sees. He loves seeing other people smile, and is definitely keen on making others happy. However, he still doesn't seem to be very good at interpersonal relationships. He's been rejected by most people he's tried to ask out--and even when they did say yes, he immediately dropped the relationship due to anxiety that quickly stacked up at the back of his mind. He seems to have a bit of trouble keeping his own emotions in check, and he's actually quite sensitive and quick to tears--although over the years he's practiced kind of holding in the tears as best he can. He does all that he can for his allies, and he begins getting quite despondent if he feels like he's falling behind the others and burdening them. In general, he really hates thinking about bad things going on in the world--if he had his way, he wouldn't even need to lift a weapon at all, and would simply sit around making nice conversation all day--but, sadly, life isn't as simple as he'd like, and human relationships aren't as simple as he'd like, either. Talking about or even so much as hearing about conflict or contreversial topics tends to unnerve him. He's rather easily manipulated if he's stressed out enough, and tends to make a lot of bad decisions when trying to help out the people he cares about. He isn't one to think through his decisions very much before he goes through with them, often leading to him messing up somehow--which isn't any good, considering that he dwells on his own failures quite a lot. Even things he messed up years ago that nobody else remembers, he still dwells on and worries over. He's very self-conscious about how others view him, and because of that, he puts a lot of effort into his appearance in social situations. He tends to try to laugh off insults, but will become emotional and defensive if he feels cornered or overwhelmed. He tends to jump to conclusions quickly and get emotional about said conclusions even quicker. He's not so great with thinking through problems and generally needs somebody mediating if he's going to make up with someone after an argument. He does mean well--he's just not so great at getting his real feelings across to other people. Deep down, he's actually quite afraid of a lot of things--but he does what he can to cover up that up with an attempt at coming off as a "smooth lady-killer" type. Ivan grew up in a small home along with his father, mother, and twin sister, Faith. Their home is situated in Aurum, and although Ivan's parents come from very different backgrounds, they actually get along quite well. The family was most definitely a happy one--and still is today. As Ivan was growing up, he learned a lot from both of his parents--however, one thing that was notable about Ivan as a child was his shy nature. He hardly ever wanted to interact with any of the other children around, and wasn't making any friends. It eventually came down to the point where his parents began to worry for him over this fact--and gave him advice. They told him that he would need to "put himself out there"--he couldn't go through life only being friends with his sister. Begrudgingly, young Ivan began to do what he could to be more social around his peers--and lo and behold, it started working. However--it didn't make him feel any less uncomfortable--but people liked him now. He forced himself to be increasingly more and more outgoing, despite his shyness, and it got him a pretty good social reputation in his hometown. As this went on, he steadily began to push his limits on what he was willing to do--and eventually expanded to flirting. This, surprisingly enough to him, actually brought him enjoyment--it made talking to people easier. It also, Ivan noticed, seemed to make people happy--and he figured that being able to make others smile was a worthy pursuit. However, that wasn't to be his only fate, unfortunately--he had never really been interested in combat, but ended up receiving lessons from his parents, anyway. He skipped out on a lot of the lessons in order to go out on the town instead, but did end up learning at least a few things. And among those things was that he was going to have to fight to protect the ones he cared about--because the rest of the world wasn't quite as kind as his hometown. He and his sister eventually took on jobs as mercenaries--although Ivan continued his social activities as much as he could to keep up his feeling of validation. Eventually, he did build up a little bit of a reputation as a mercenary--and seeing as that the way people viewed him was very important to Ivan, he decided that he wanted to try his hand at joining a prestigious guild--not only to gain some rep, but maybe also some experience at the same time. At present, he's having a bit of a tough time--the playful bullying's embarrassing for him, but he's determined to overcome it and show that he's worthy of beng there. -Ivan has with him a baby wyvern, named Minerva. The baby comes from another older wyvern similarly named Minerva, that Ivan's father helped in her time of need. Because of this, Minerva Sr. had frequently begun hanging around the family, becoming more familiar and comfortable with them--and eventually one day showed up with baby wyverns. The family of wyverns actually stayed with the family after that--apparently Minerva Sr. felt safest in a large group. Luckily, the house was in a rural enough area that they could house them--either way, Ivan took to taking care of one of the baby wyverns, naming her after her mother. Right now, Minerva Jr. is still too young to actually do anything much besides screech and flap her wings around, but Ivan brings her everywhere he goes. -Ivan has a habit of collecting weapons he comes across that might become useful to him--he's only got a few on him now after recently having to sell several, but he has a tendency to collect and carry quite a lot as time passes. -Being an avid fan of tea, he's actually quite good at making it, and has a few personal tea blends that he came up with on his own. These blends taste surprisingly good--and although Ivan's very good with tea, he's not much good at making anything else of note when it comes to food.